The Coalition for Responsible Community Development (CRCD), a South LA based non-profit serving the community through youth, workforce and economic development initiatives, is proud to announce the addition of two members to their executive leadership team, Chief Operating Officer Angela LoBue and Chief Real Estate and Economic Development Officer Alejandro Martinez. The increase in senior staff will allow CRCD to develop new programs and initiatives while expanding their footprint. 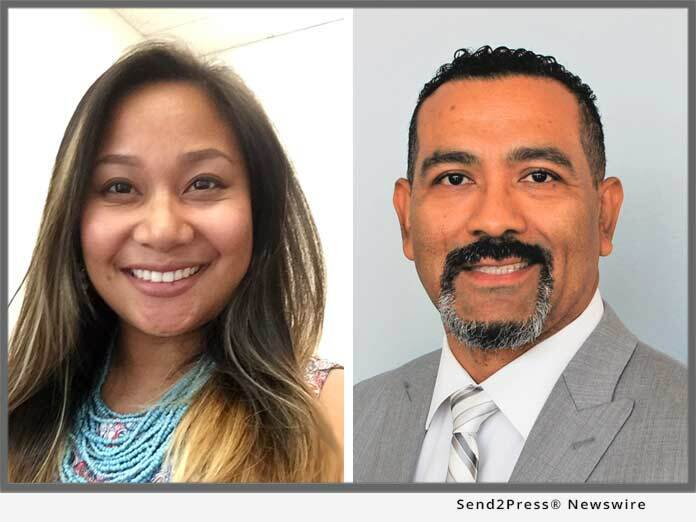 LOS ANGELES, Calif. /Mortgage and Finance News/ — The Coalition for Responsible Community Development (CRCD), a South LA based non-profit serving the community through youth, workforce and economic development initiatives, is proud to announce the addition of two members to their executive leadership team, Chief Operating Officer Angela LoBue and Chief Real Estate and Economic Development Officer Alejandro Martinez. The increase in senior staff will allow CRCD to develop new programs and initiatives while expanding their footprint. CRCD was established in 2005 by community leaders in an effort to bring resources to underserved youth in South LA including workforce development and education programs, permanent supportive and affordable housing, as well as opportunities to serve and lead in their own neighborhoods. CRCD has connected more than 2,950 young people with diplomas, jobs, and housing; currently manages a combined investment of $103 million in South LA real estate with their partners; and runs City of Los Angeles Economic and Workforce Development Department sponsored WorkSource and YouthSource centers that support low-income individuals with job placement and workforce training. Angela LoBue brings to CRCD extensive experience having worked directly with children, youth, and young adults experiencing the child welfare, juvenile justice, and mental health systems in the San Francisco Bay Area, Angela saw firsthand the impact of these systems on the development and success of youth and young adults and the communities where they live. She saw that real change requires comprehensive partnership and collaboration across sectors, and sees her role as a navigator to implement these resources in the community. As Chief Operating Officer at CRCD, Angela will oversee the strategic integration and coordination of CRCD’s departments, with a focus on sustainable growth and impact. Prior to joining the team at CRCD, Angela served as the Youth Systems Integration Manager at the Los Angeles Homeless Services Authority (LAHSA), where she oversaw the development, implementation, and programs that make up the coordinated entry system for youth in the Los Angeles Continuum of Care. Angela first began working with CRCD as a Program Manager in the Los Angeles office of CSH, where she managed the local transition age youth (TAY) initiatives, which aimed to better understand the model of Permanent Supportive Housing for TAY, in the context of tenant characteristics, support service needs, and outcomes. Alejandro Martinez has dedicated his professional career to ensuring that underserved communities have access to quality affordable housing and appropriate supportive services in Boyle Heights, East Los Angeles and throughout the City and County of Los Angeles. Developing affordable housing in these communities has been a great tool to revitalize the built environment but also the human spirit, which in turn engages people in communities to build civic and social engagement. In his most recent position as VP of Real Estate at East LA Community Corporation (ELACC), Alejandro served as Vice President of Real Estate and Asset Management. The ELACC Real Estate Department developed a variety of project types from single family subdivisions, permanent supportive housing, to large family affordable rental housing projects by accessing local, state and federal programs. During his tenure at ELACC, he developed over $250M in affordable housing projects as the Chief Real Estate and Economic Development Officer Alejandro will oversee all CRCD real estate functions including ways to increase affordable housing in South Los Angeles and ways to boost economic investments in the business and residential corridors of the area. For more information about CRCD and their programs visit http://www.coalitionrcd.org/.